If you really want to stand out in a competitive examination you need to be different from others. 'Different' in the sense that you must be able to attempt more number of questions than the others, in other word, you must be a efficient solver. For that to happen, you need to go faster than the others and attempt maximum number of problems in that given duration of time. With traditional methods of solving problems, you can't go faster. The traditional ways that we had learned in schools was well enough to pass out a school exam, but for cracking a IBPS, SBI PO, RBI or SSC exams, that's not really going to help much. For that you need to go for shortcuts. The more you learn the shortcuts, the more number of questions you will be able to attempt. This is our first post on Shortcut techniques series. 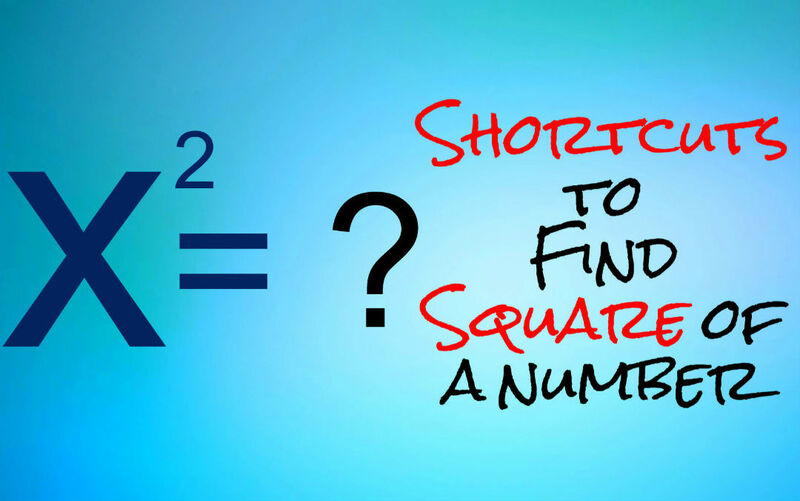 In this article you will learn the shortcuts to find out the square of a number. Before going to the methods, let me tell you simply knowing the shortcuts wouldn't likely to work on examination. Only continuous practice could make you efficient. So practice the methods as much as you can. 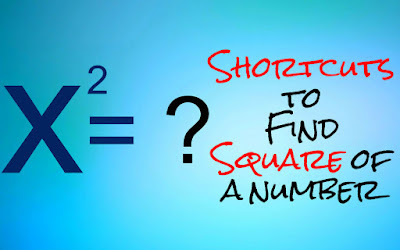 Suppose we need to find square of 42. Similarly, 124 ² can be done by solving (12+4)². Try it yourself. This method is for the numbers having 5 in one-th position. Last two digit will be 25 as 5x5 = 25. The other digit is multiplied to its next digit. Combining both the results the square is obtained. Hope you have understood the tricks. If you have any doubts you can ask in the comment section. Also you can share your tricks with our readers.